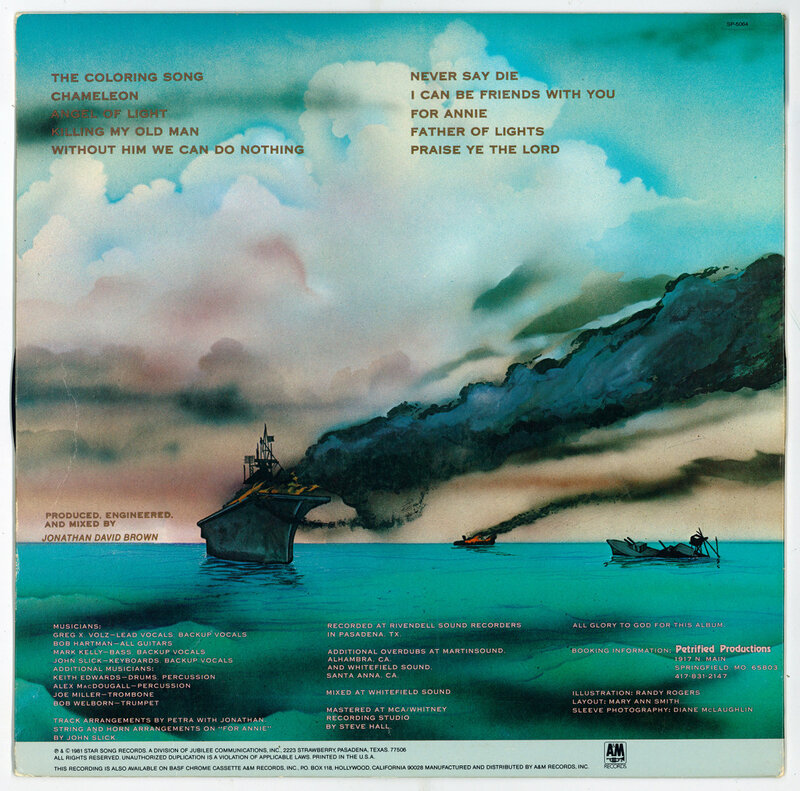 Bill and Dixie Little and Little More Sound for their willingness to give in a time of need. Thanks to Jonathan, Jeff Boggs, and the Star Song gang. 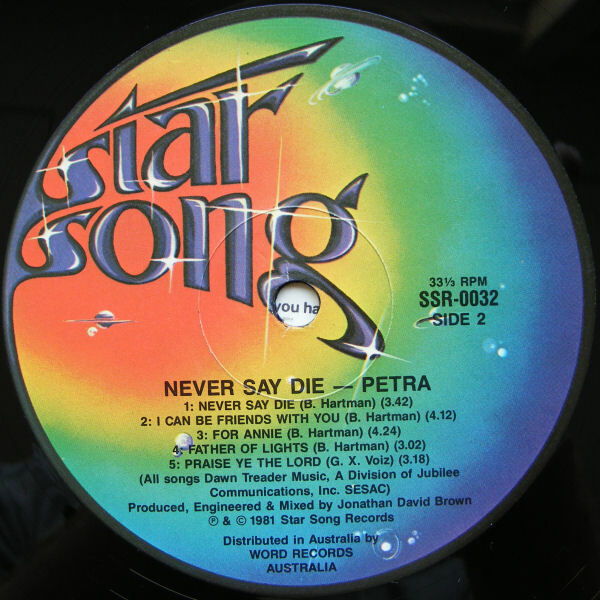 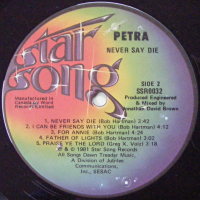 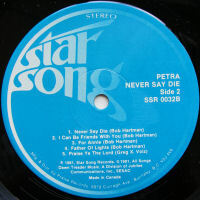 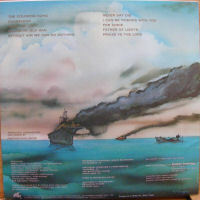 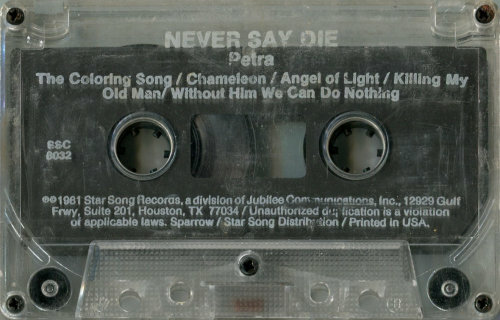 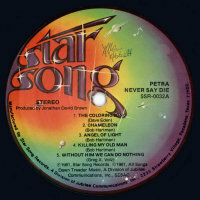 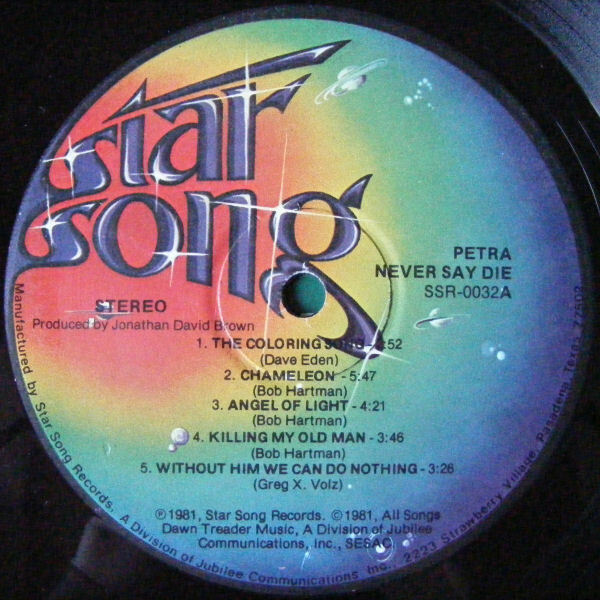 US Star Song Records SSR-0032 (Word, Inc. distribution - Side 2 Never Say Die) ?? US Star Song Records SSC 0032 (manufactured by Star Song) ?? 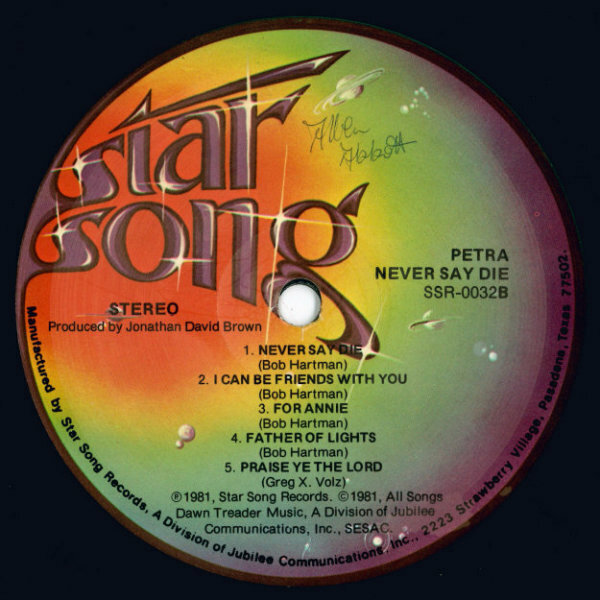 US Star Song Records SSC 8032 (Sparrow/Star Song distribution - Printed in Canada) ?? 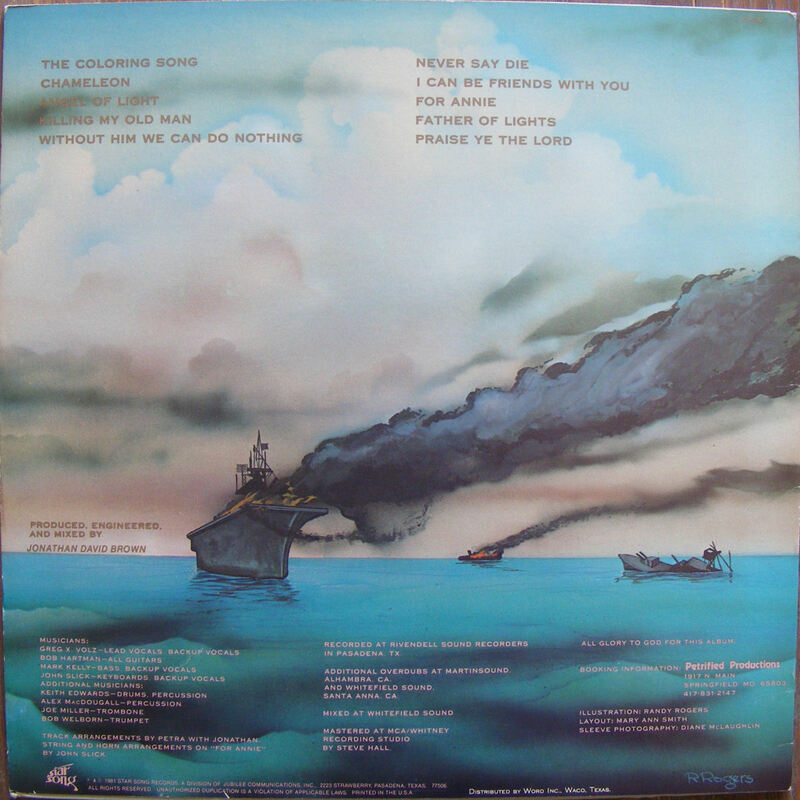 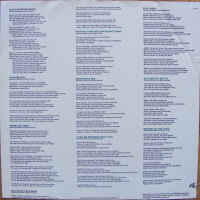 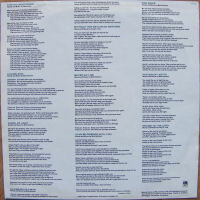 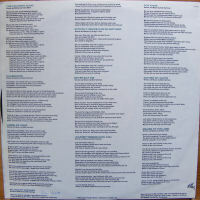 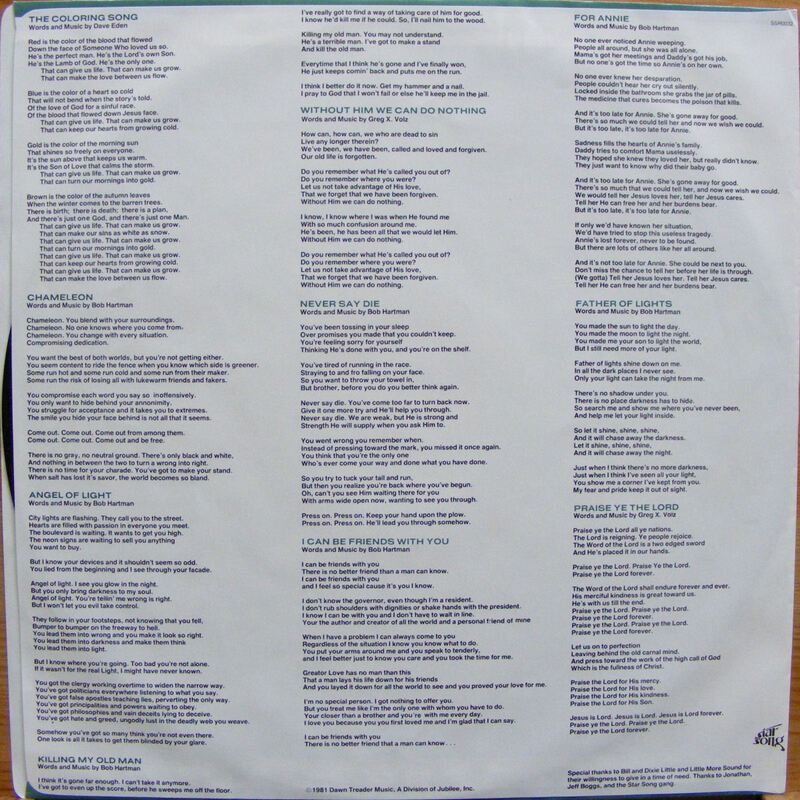 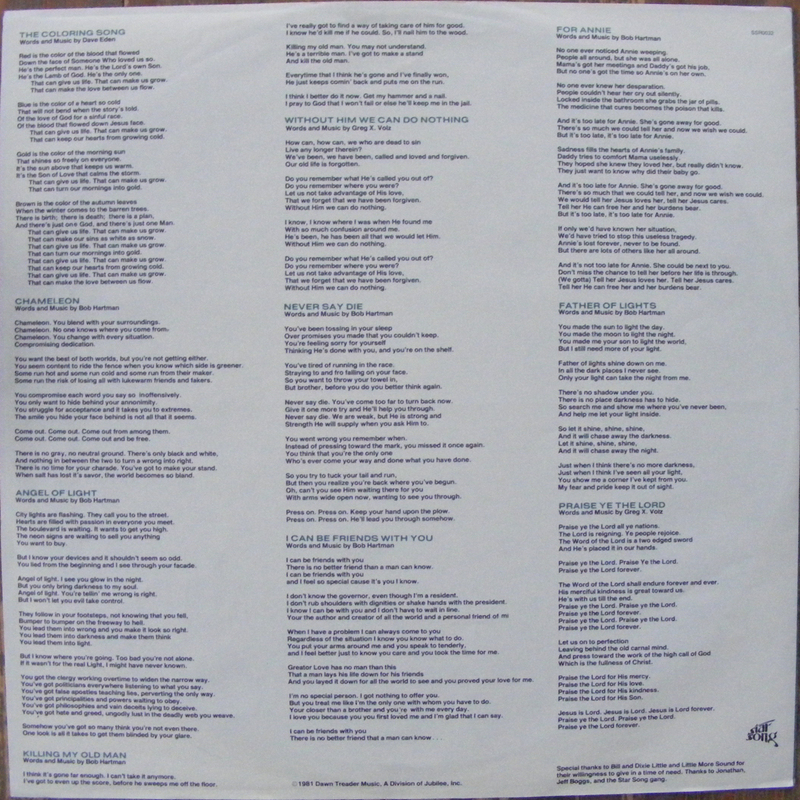 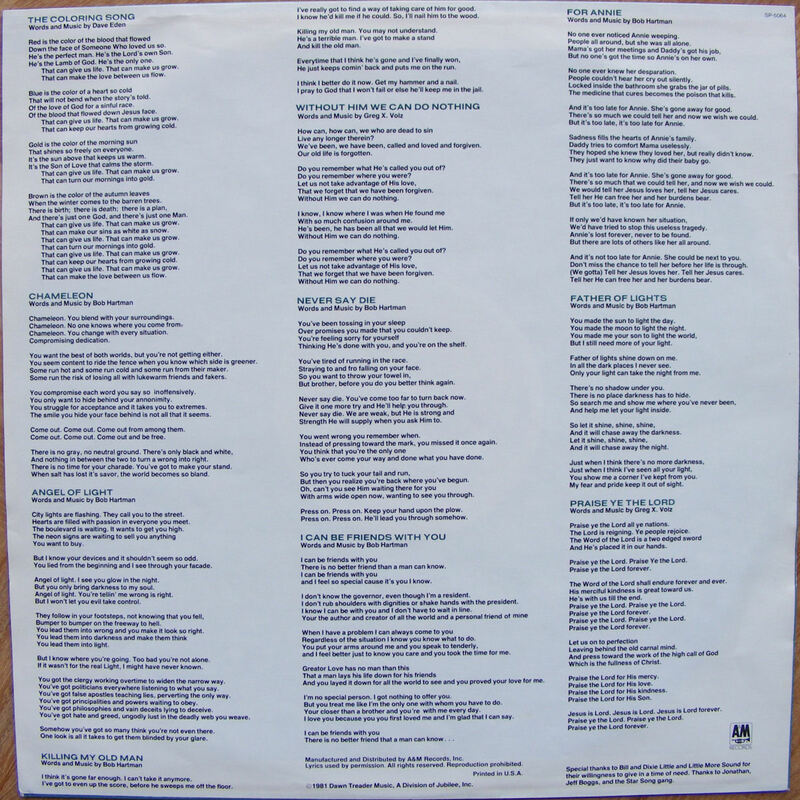 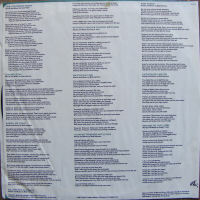 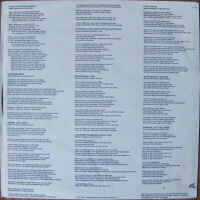 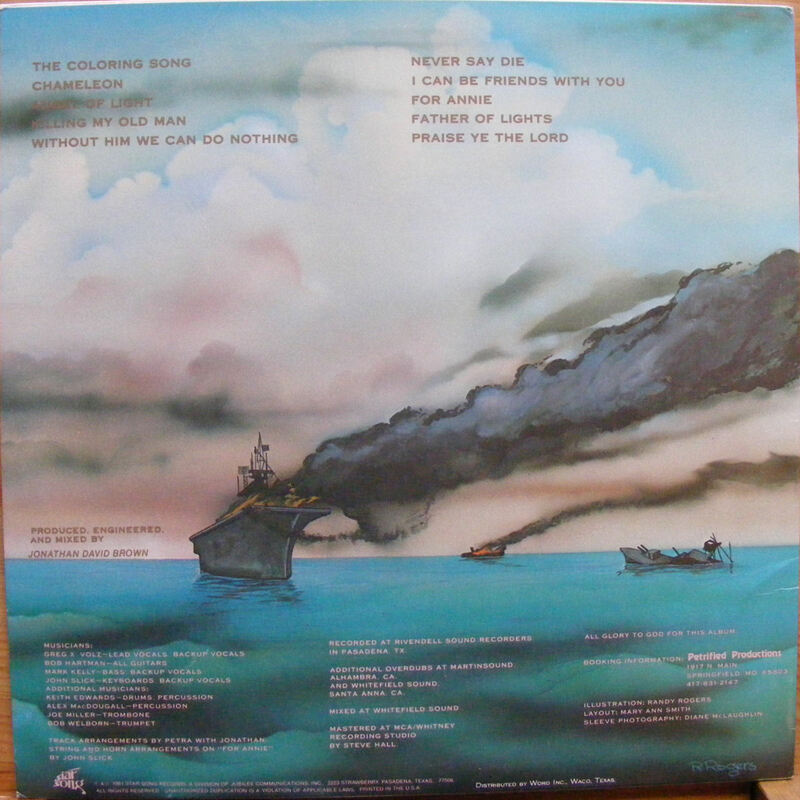 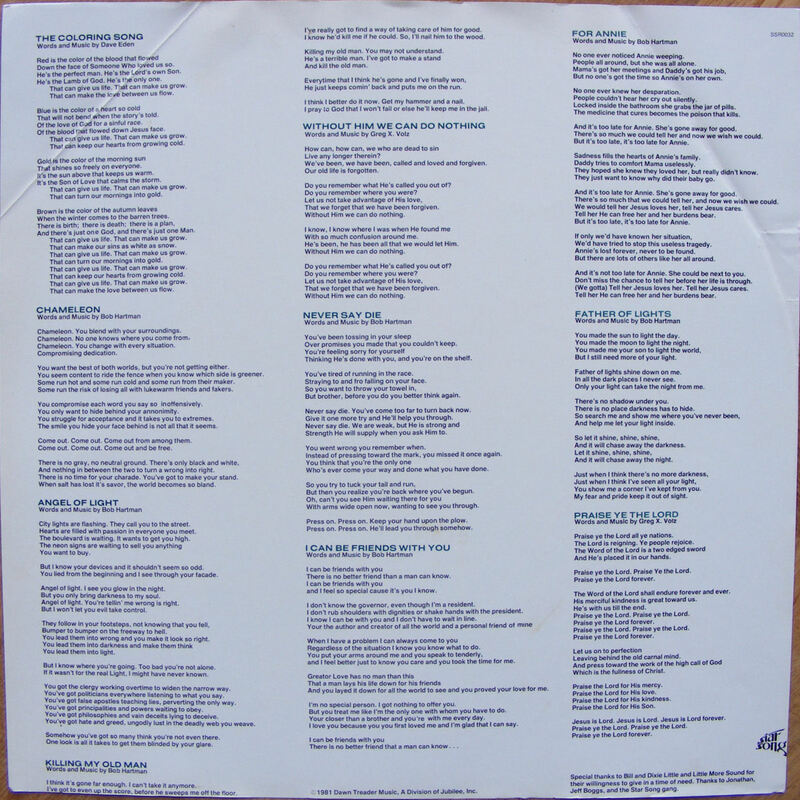 It is possible that there is a version out there with a corrected album title on the label of side 2, but I have found no confirmation for its existence. 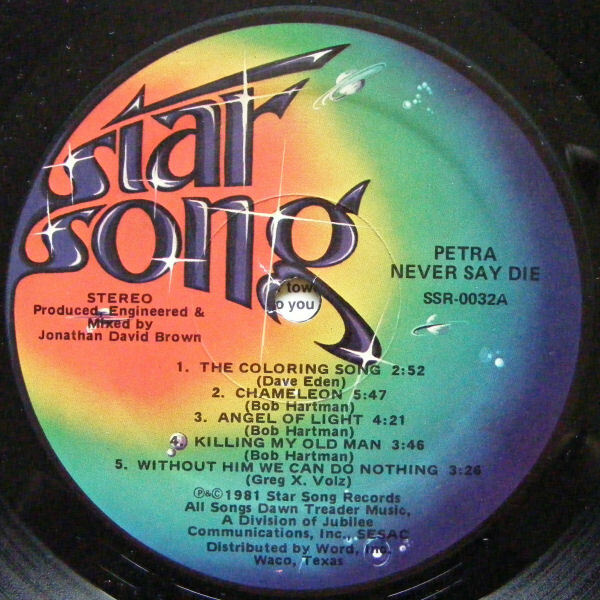 (p) & © 1981 Star Song Records, A Division of Jubilee Communications, Inc., 2223 Strawberry, Pasadena, TX 77506 | Printed in the U.S.A. | This recording is also available on BASF chrome cassette | A&M Records, Inc., PO Box 118, Hollywood, CA 90028 | Manufactured and distributed by A&M Records, Inc. 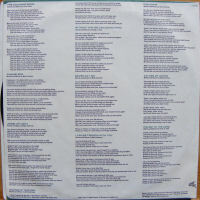 It is possible that there is a version with either The Benson Company or Word, Inc. distribution credits. 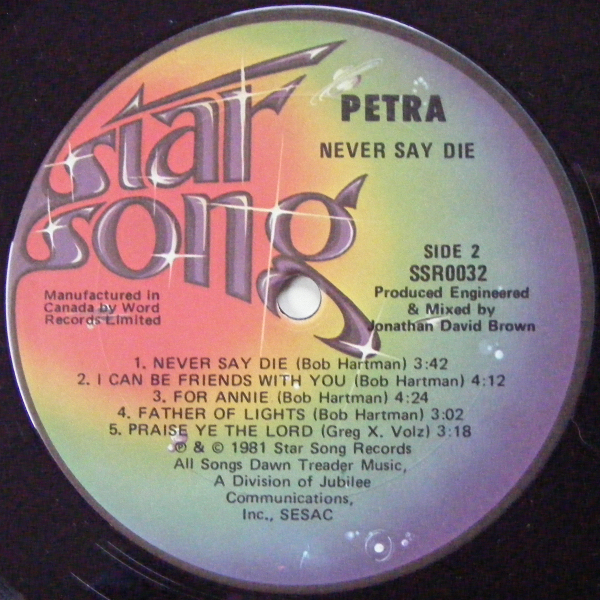 The Word, Inc. distribution deal didn't happen till Fall 1982, so there must be an earlier printing out there. 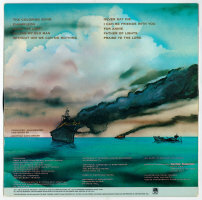 It is possible that there are different versions with either The Benson Company distribution credits or without any credits at all. 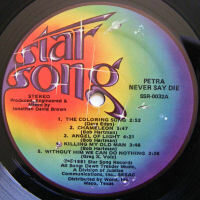 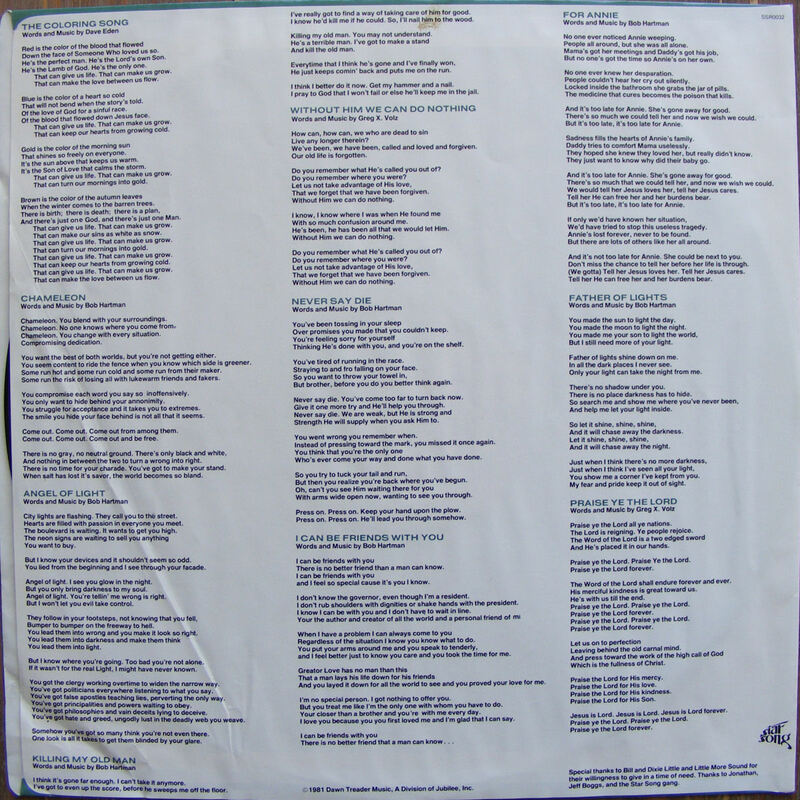 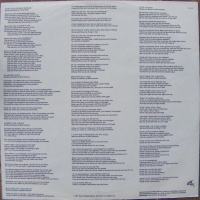 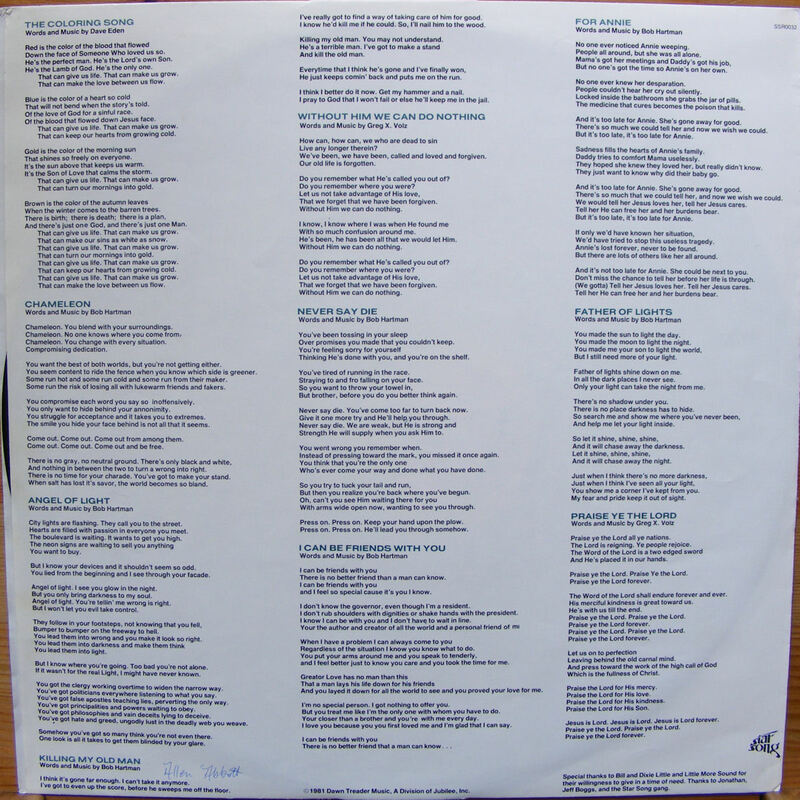 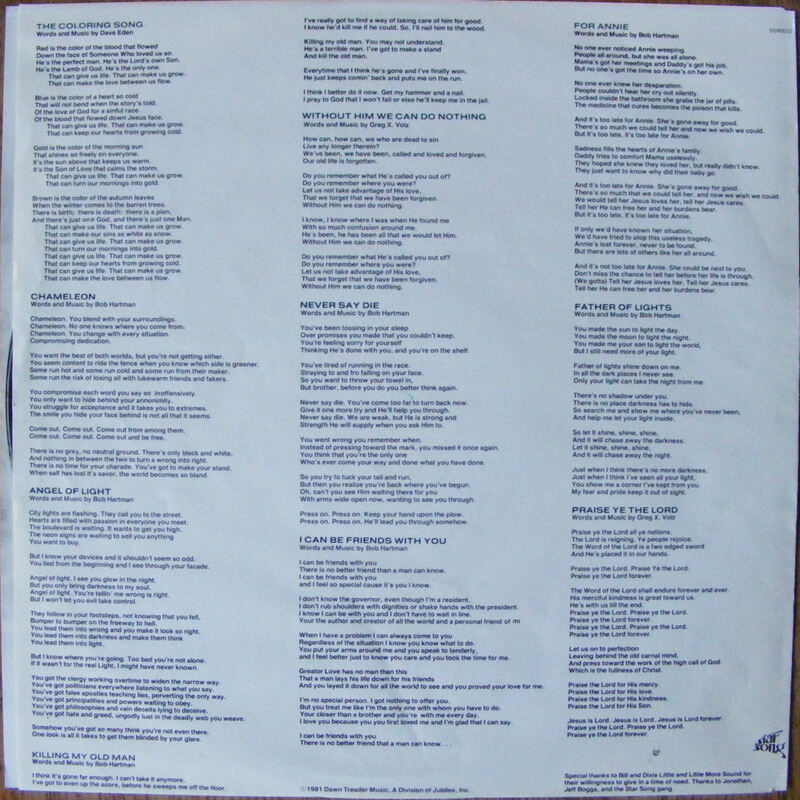 (p) © 1981 Star Song Records, A Division of Jubilee Communications, Inc., 2223 Strawberry, Pasadena, TX 77502 | Sparrow/Star Song Distribution, 9255 Deering Avenue, Chatsworth, CA 9131 | Printed in U.S.A.
(p) © 1981 Star Song Records, A Division of Jubilee Communications, Inc., 2223 Strawberry, Pasadena, TX 77502 | Sparrow/Star Song Distribution, 9255 Deering Avenue, Chatsworth, CA 91311 | Printed in U.S.A. 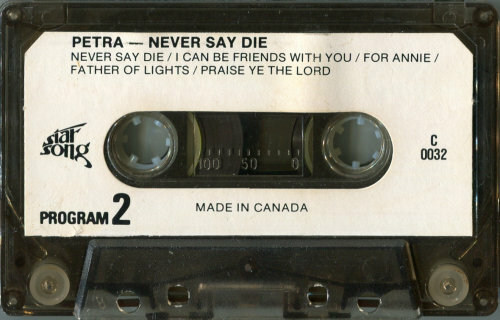 It is likely that there is a Sparrow/Star Song distributed version out there with a small 'Printed in Canada' logo. 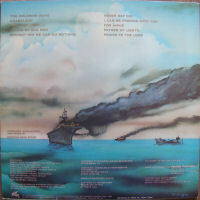 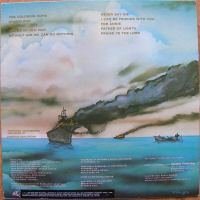 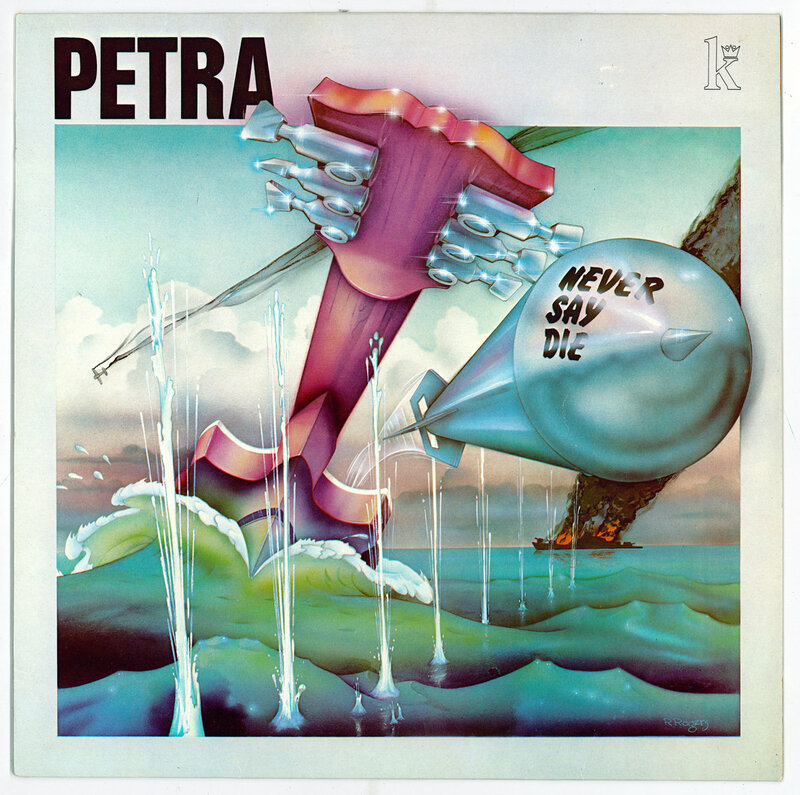 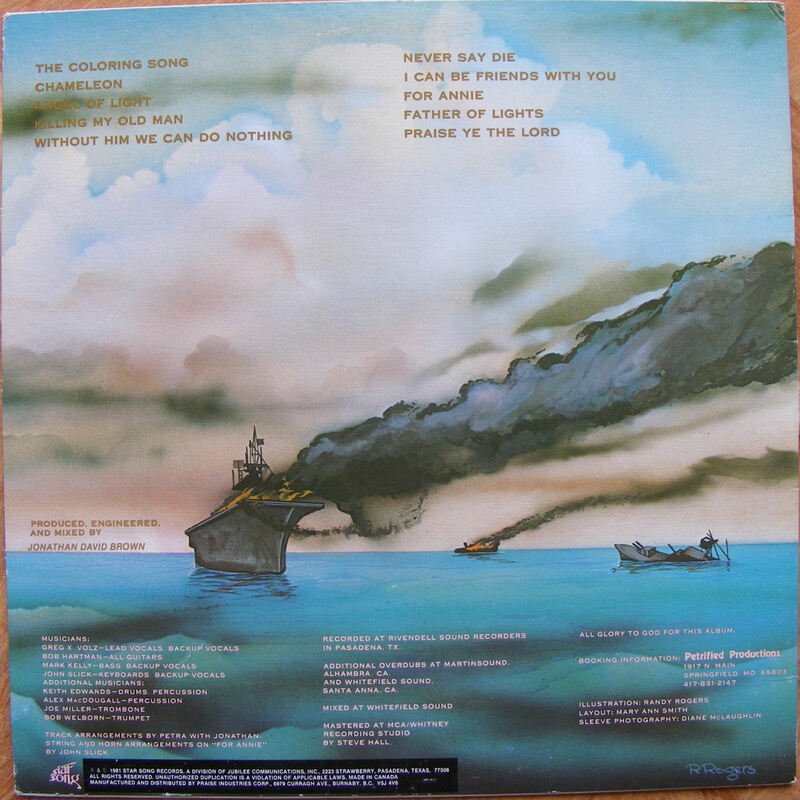 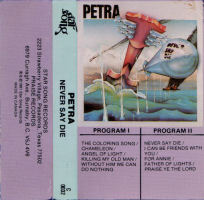 This album features the first flying guitar, which would become a theme on Petra's album covers. "The Coloring Song" and "Praise Ye The Lord" were originally songs from e-band. 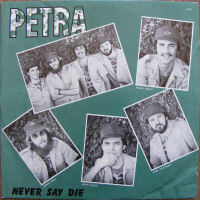 Greg Volz was the lead singer for this band during the early seventies. 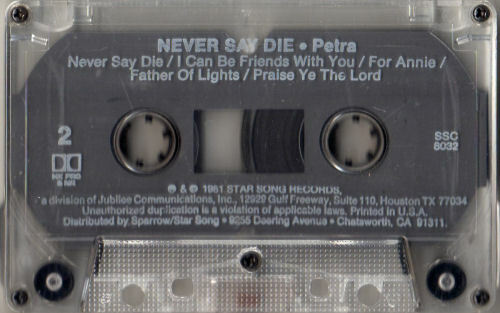 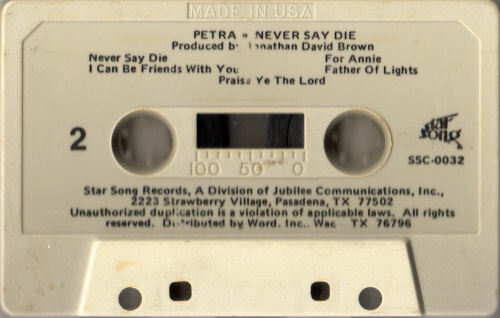 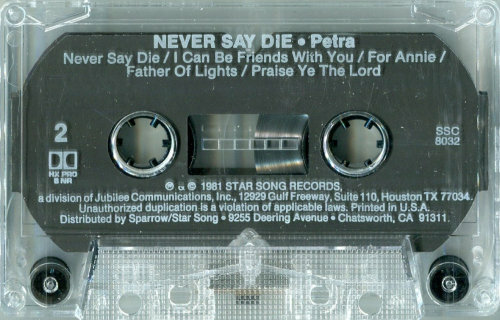 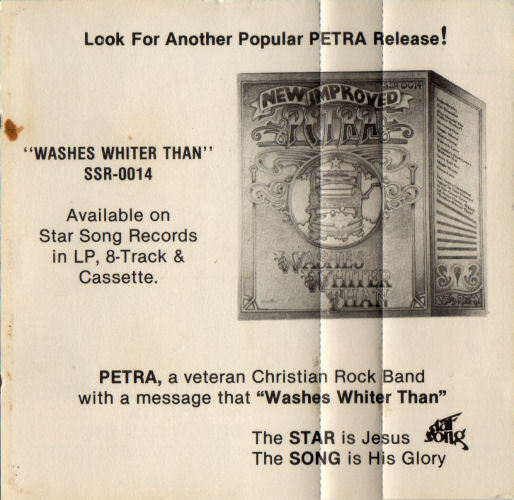 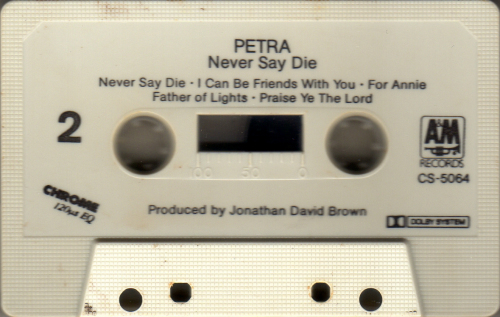 Petraspective has a live-recording of e-band's version of "Praise Ye The Lord" and several recordings of Greg X. Volz performing "Praise Ye The Lord" on tour with Phil Keaggy. There is the story that quite a lot of the 7" vinyl singles with "For Annie" were destroyed, due to the false rumour among DJs that a young girl committed suicide after hearing the song. 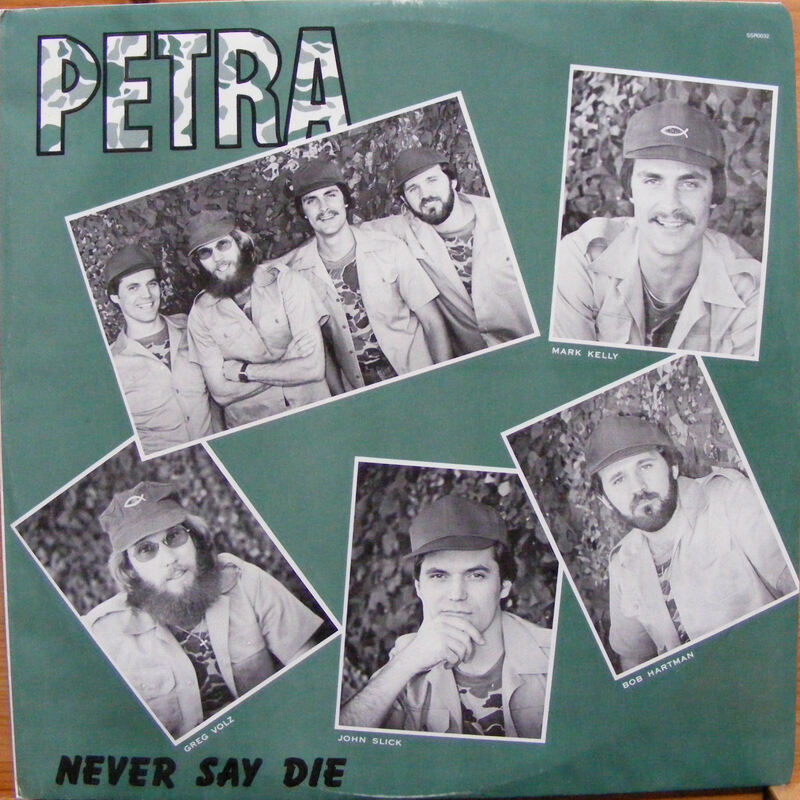 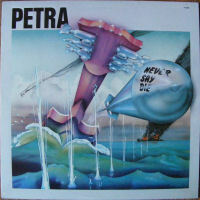 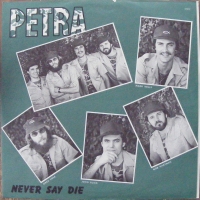 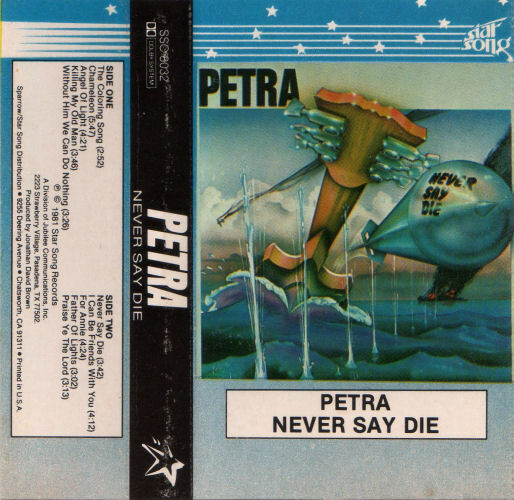 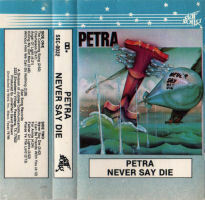 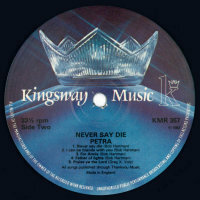 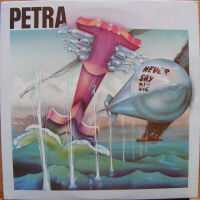 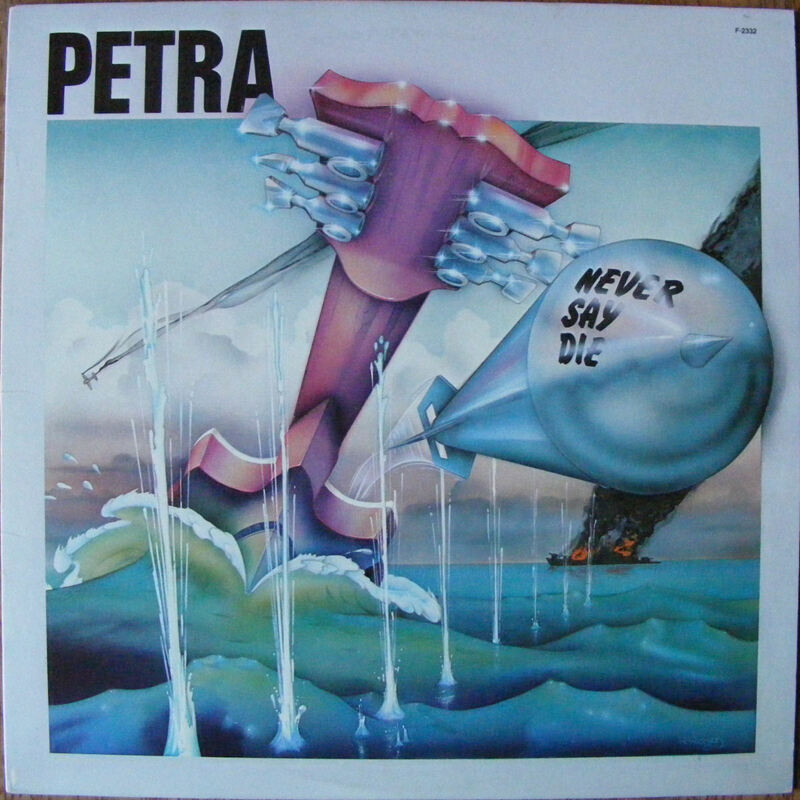 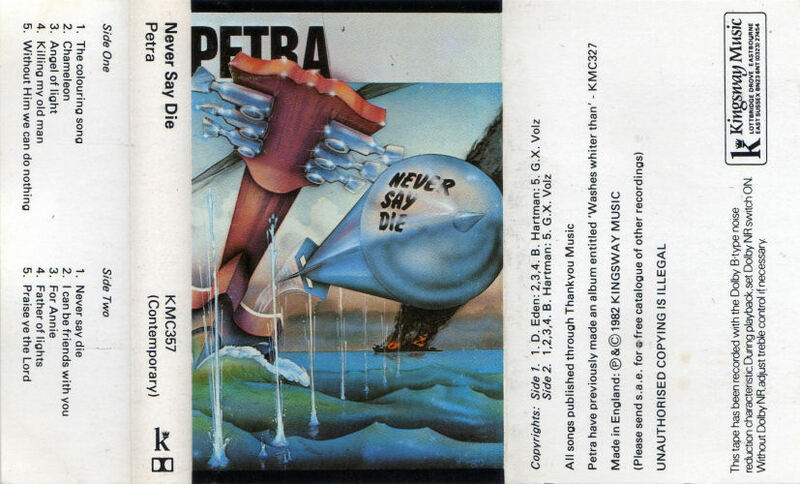 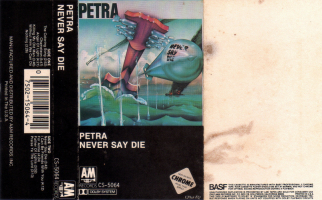 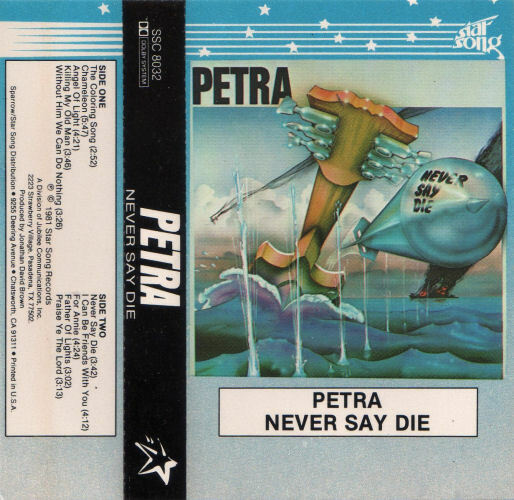 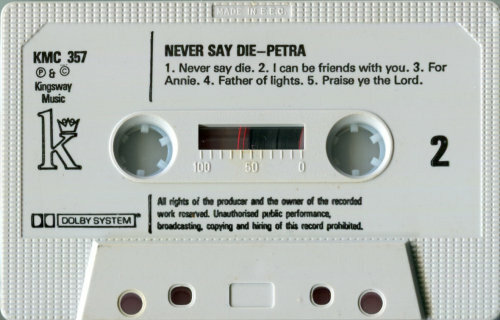 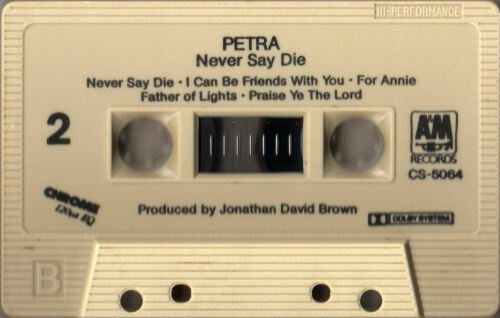 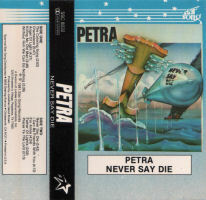 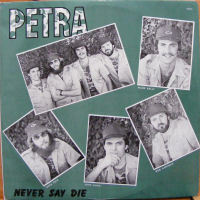 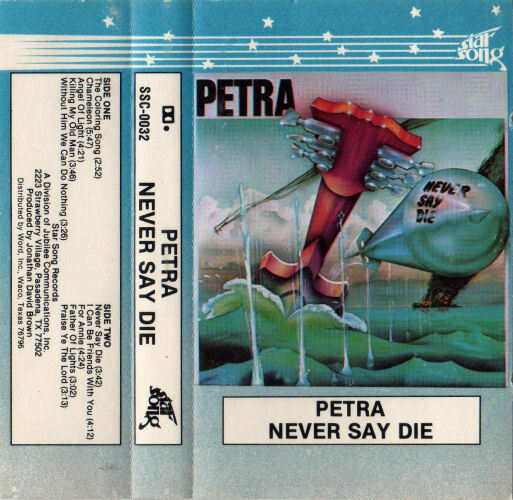 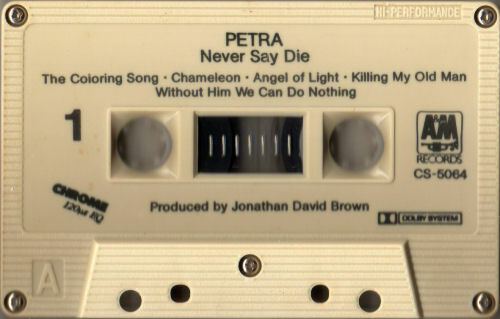 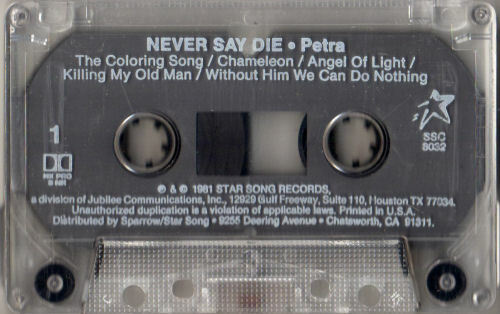 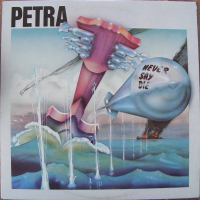 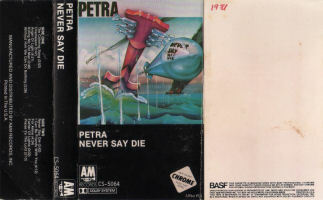 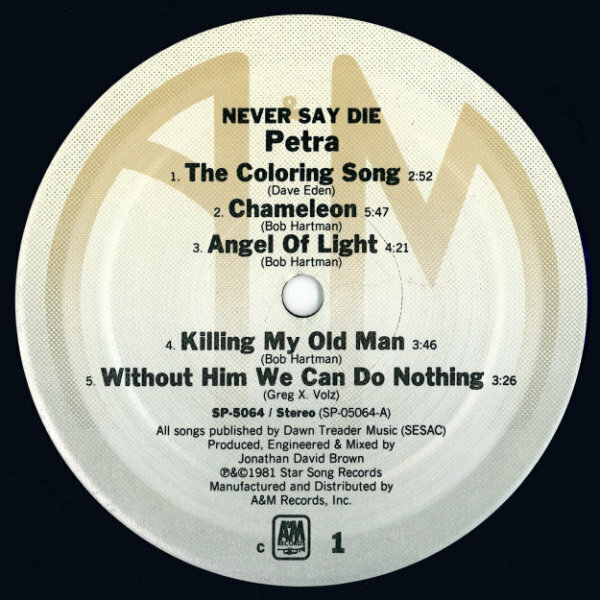 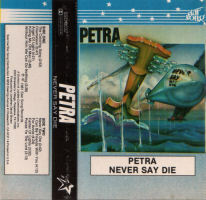 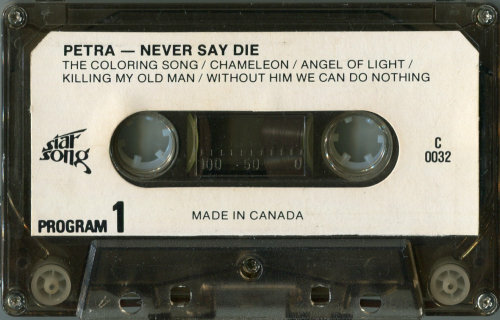 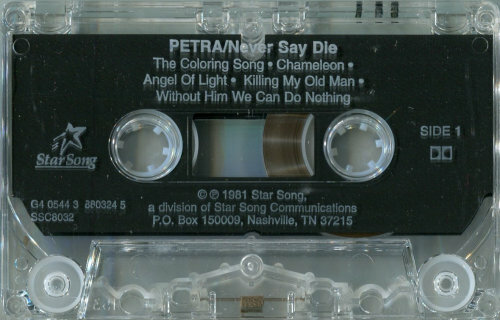 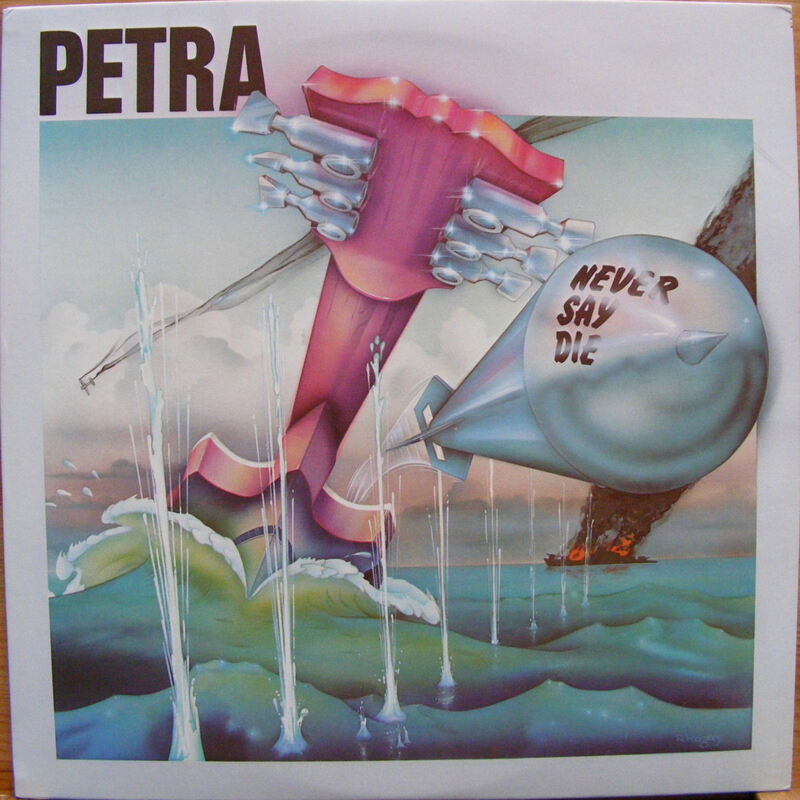 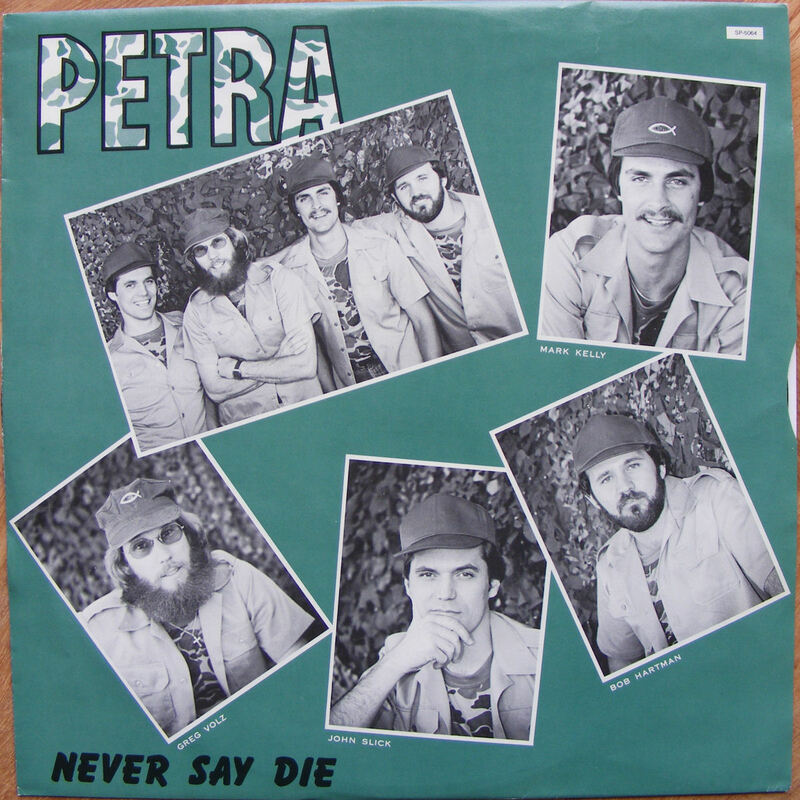 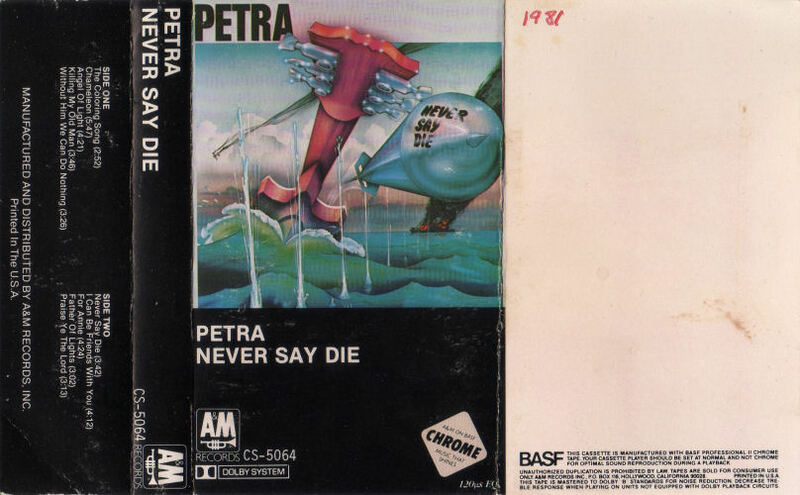 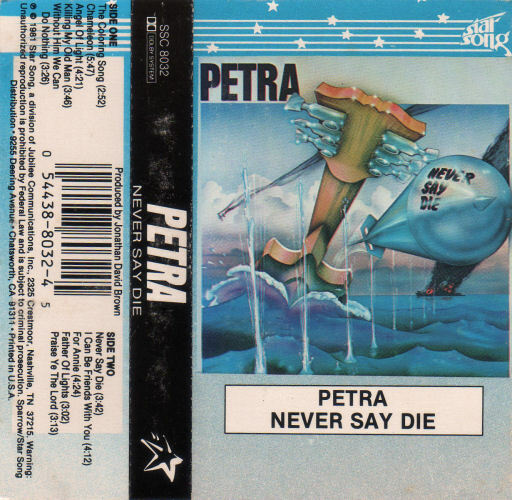 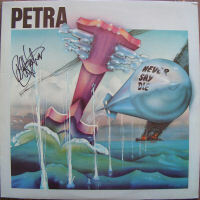 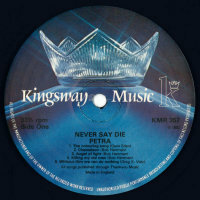 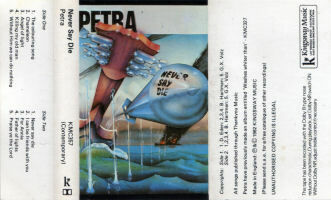 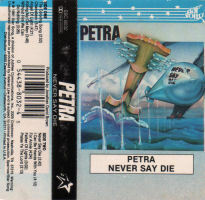 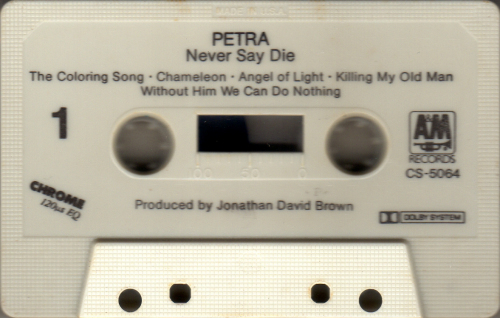 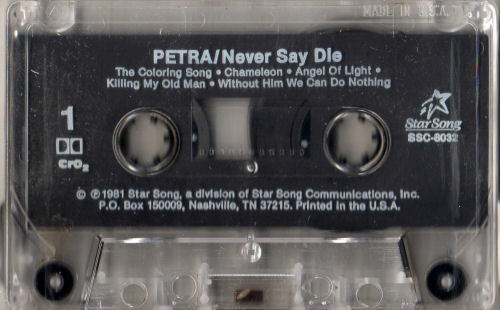 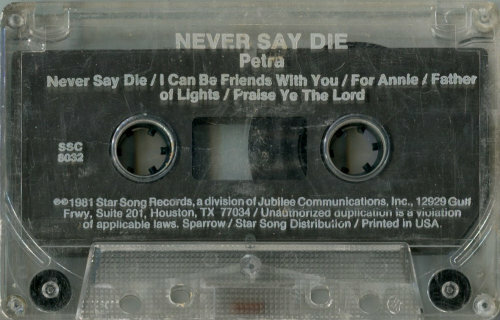 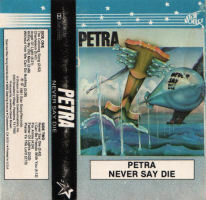 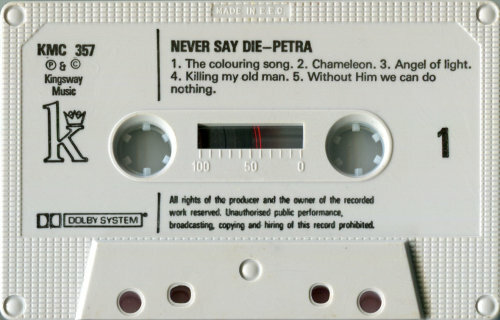 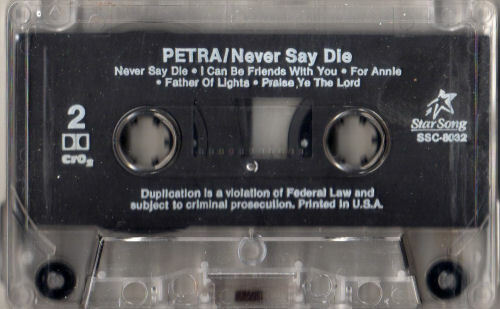 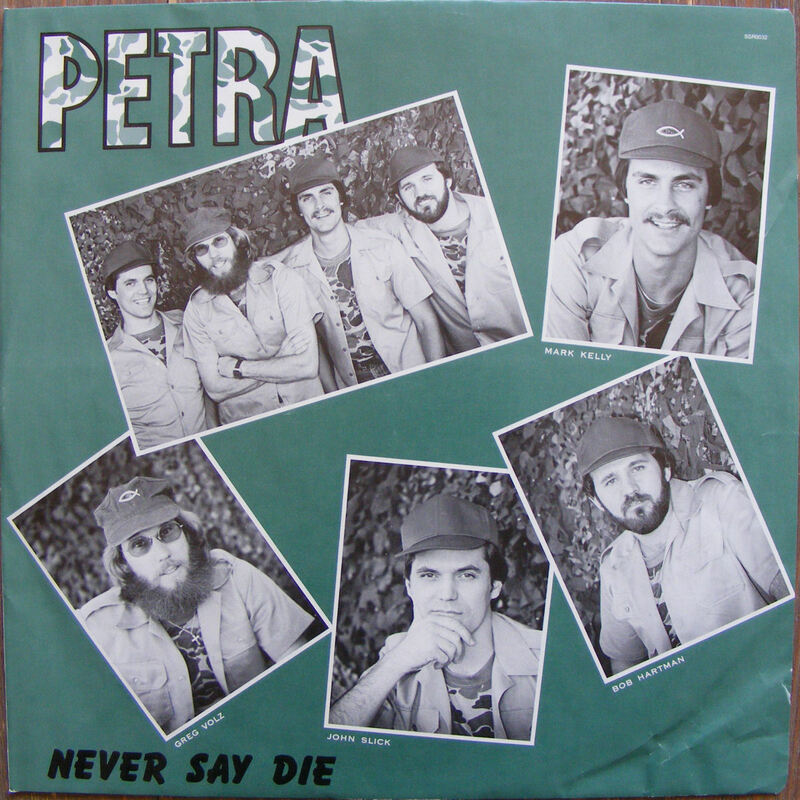 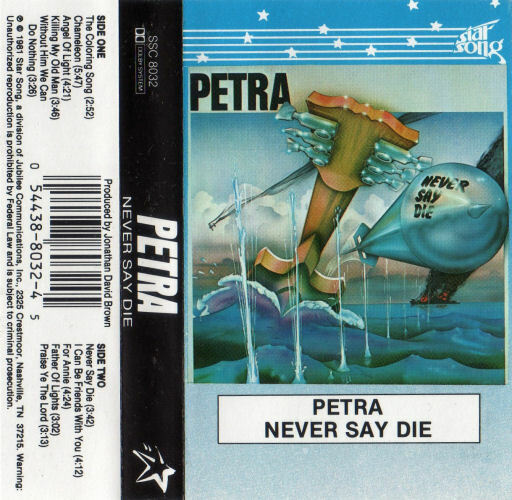 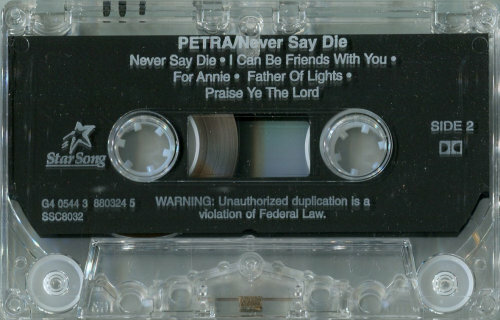 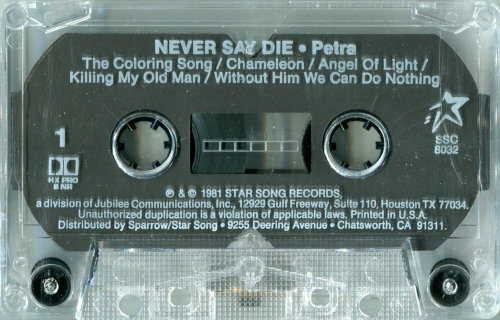 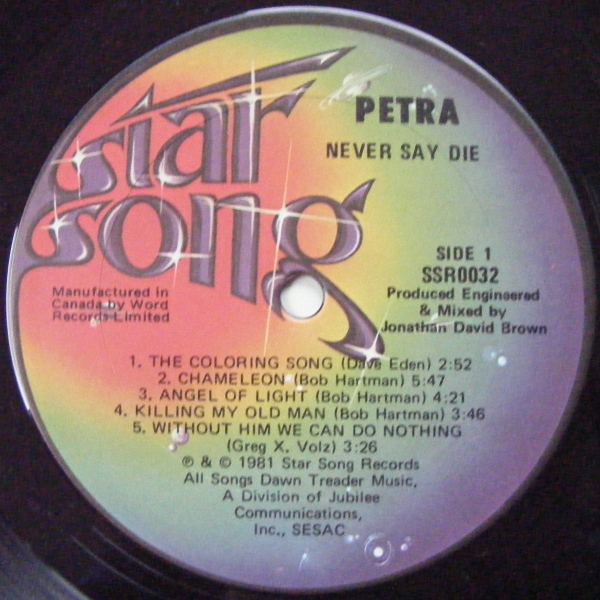 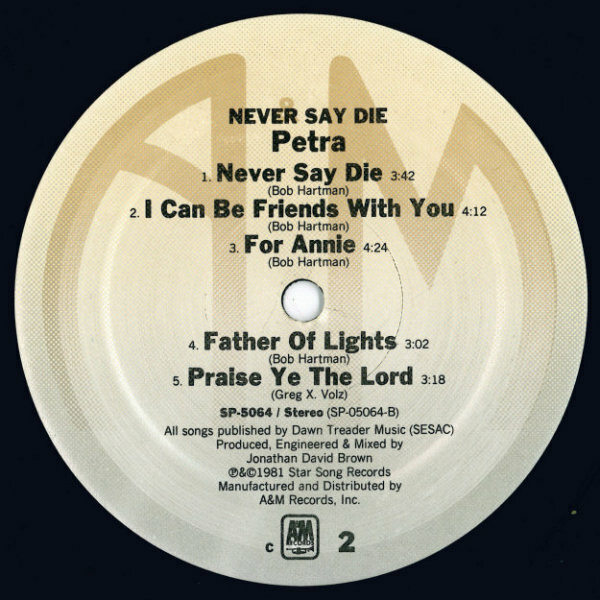 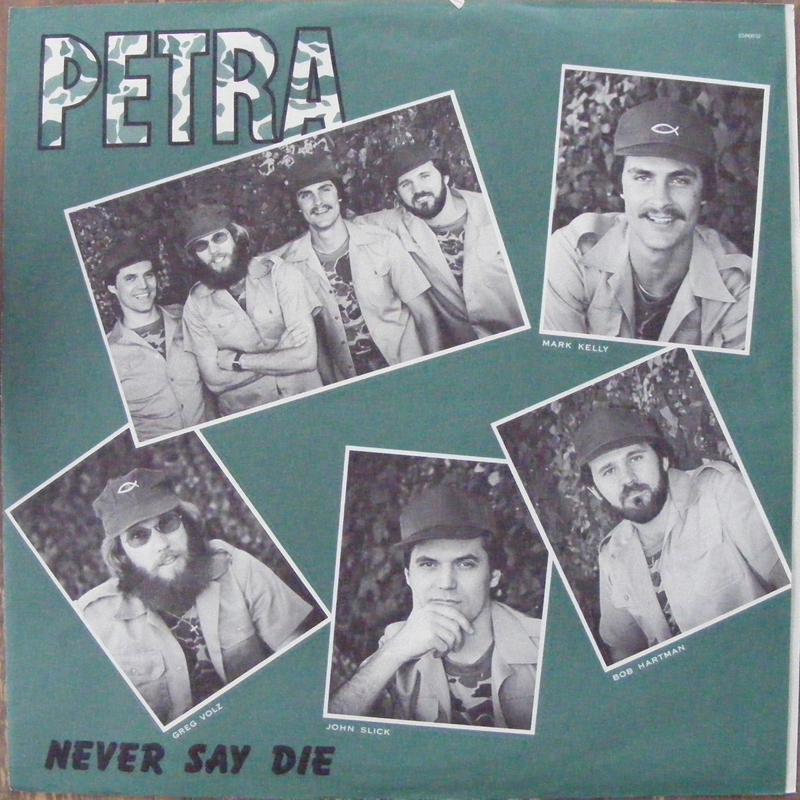 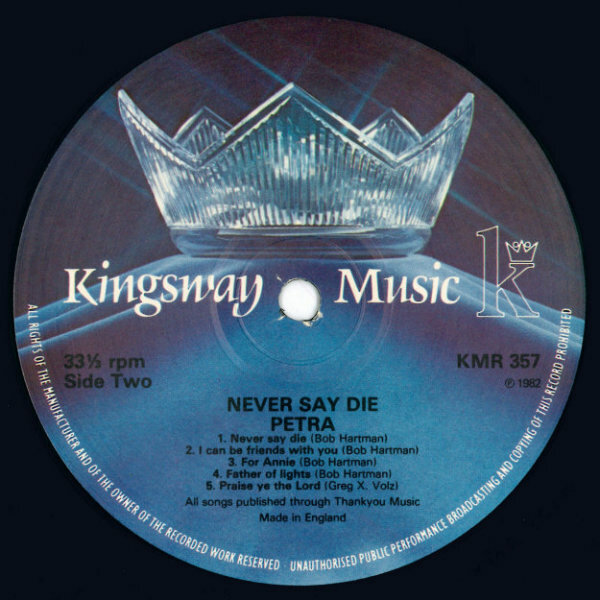 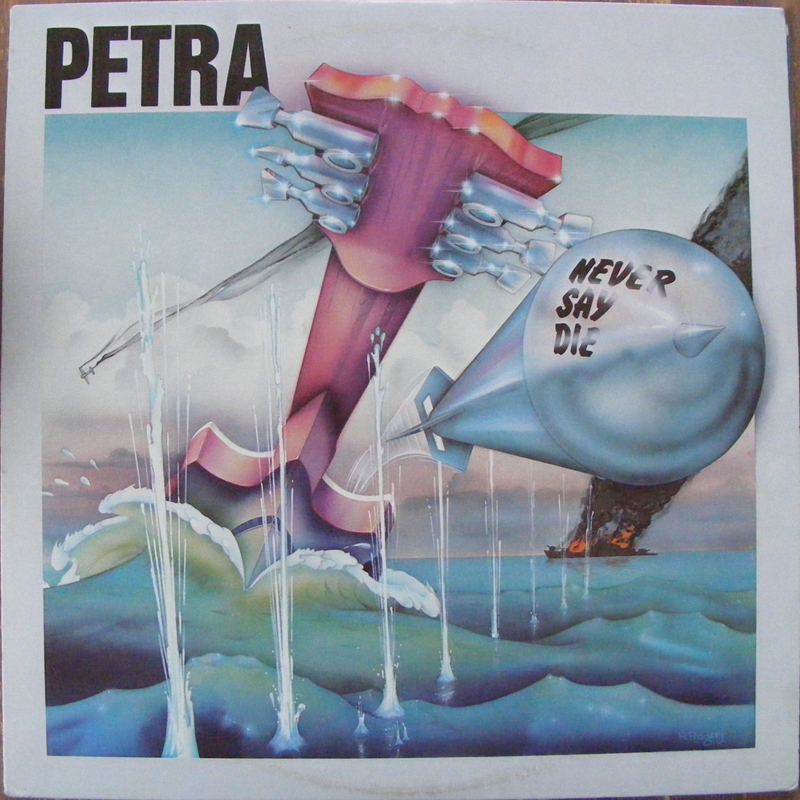 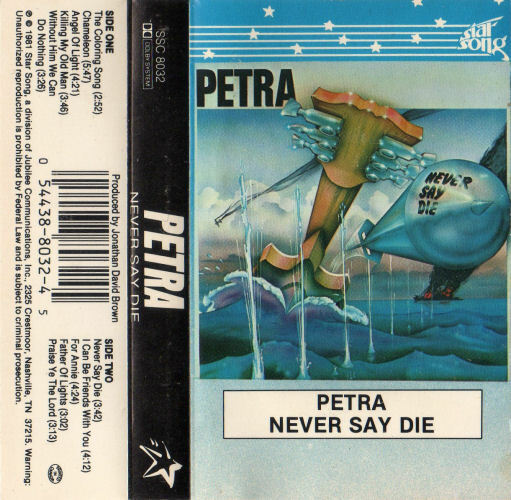 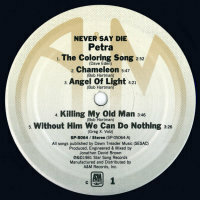 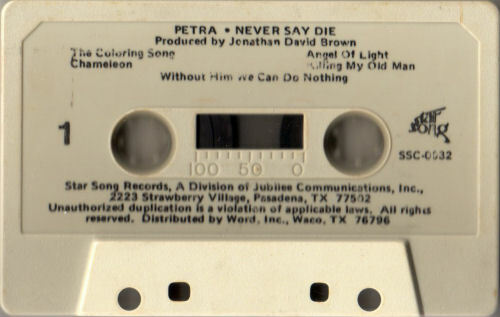 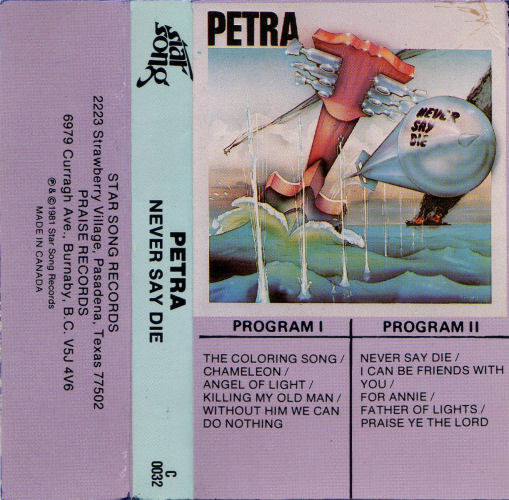 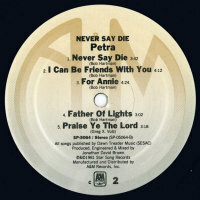 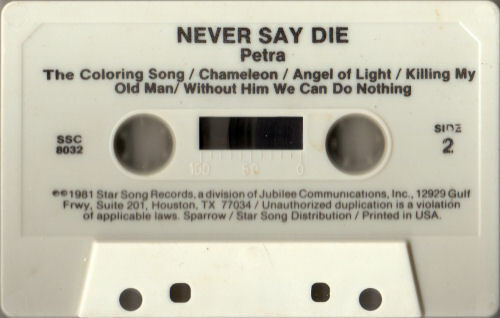 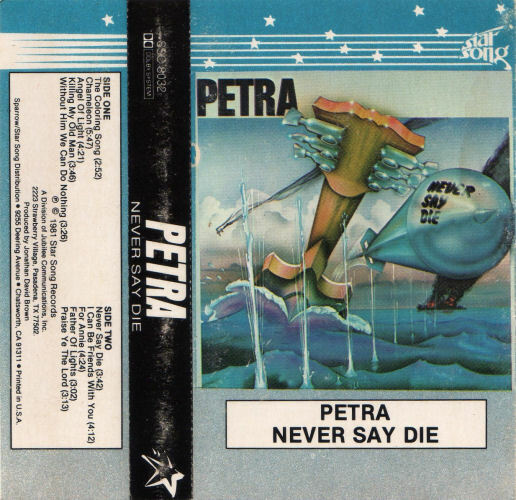 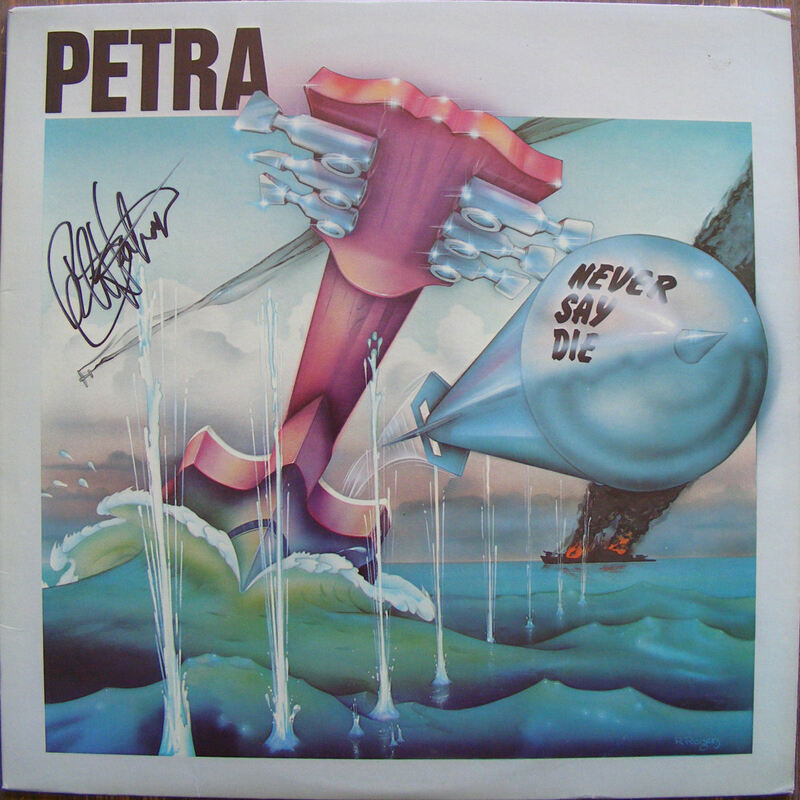 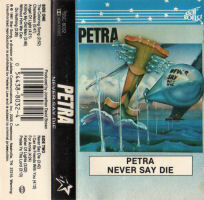 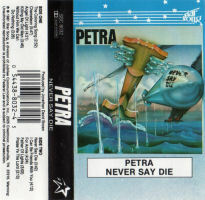 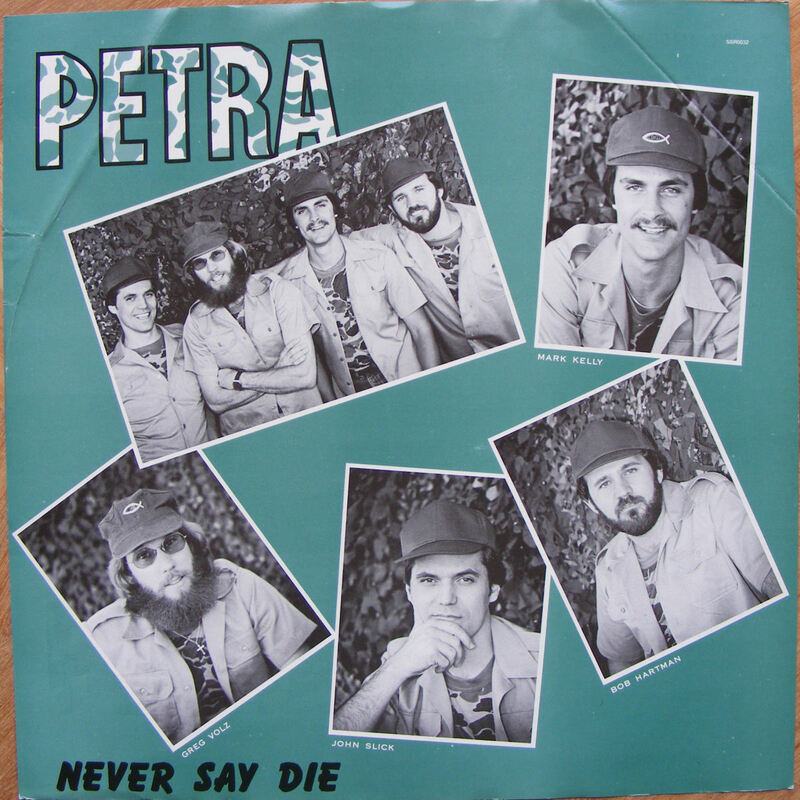 Petra went on tour during the first three months of 1982 with headliner Servant. During the tour Petra's fame attracted more and more people, so much so that people came to see Petra rather than Servant. 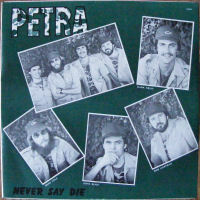 The first official band pictures for Never Say Die feature the temporary drummer Jeff Boggs. 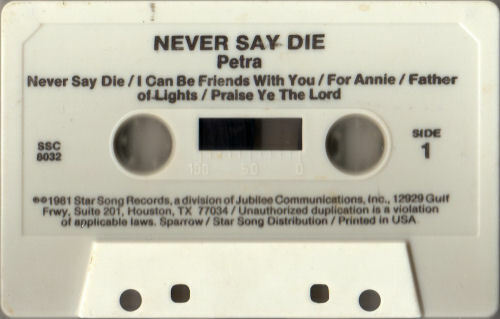 Louie Weaver didn't join the band until 1982, during the Never Say Die tour.